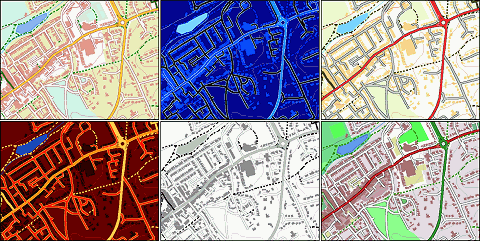 - Addition of vector map colour scheme presets (Plan Page menu/Vector Map Options/Colour Scheme), which modify the colours in the vector map tiles without increasing their storage requirement. - Various UI improvements on touchscreen phones: smoother scrolling in menus and the waypoints page. Direct selection of items by 'clicking' them on the plan page. Smoother dragging of plan and map pages. - BlackBerry-specific additions: Bug-fixes to improve GPS refresh frequency on OS 6 phones, particularly the Torch 9800 (Menu/GPS/GPS Options/Force 1 Sec Refresh). New build for OS 5 and 6 platforms, automatically switches web connection method to WiFi when in range.